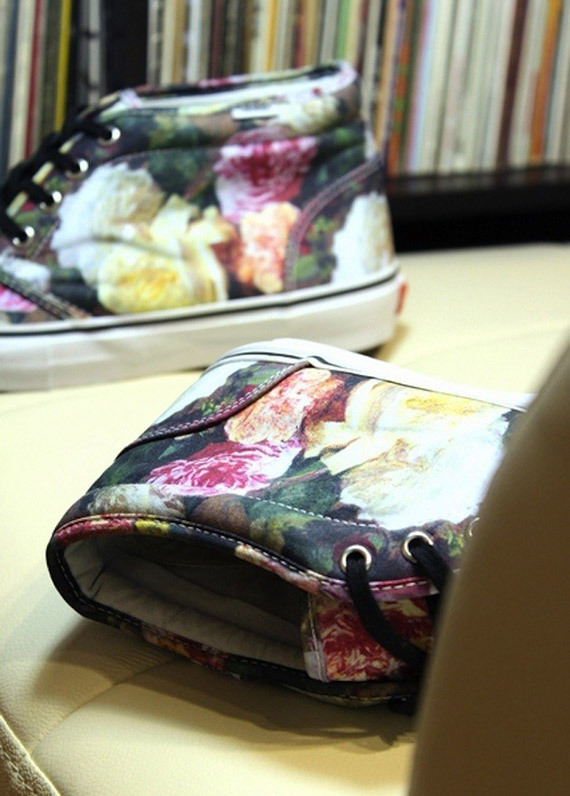 Vans off the wall continues to breath new life into projects, especially with this new “Floral” theme thats in the works. The flowery print is set against a canvas backdrop which will be used on the Vans Chukka Boot, a very comfortable looking set of everyday casuals. 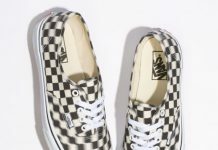 The rubber sole is traditional white with black piping, a nice contrast for the rich upper, and the silver eyelets get filled with black flat laces. A sneak peek of a matchin hoody shows that the print will not be limited to one shoe, but a collection of some sort. Check back in with Modern Notoriety in the near future for more details on this interesting set. i respect this because i know where it comes from so this will be a treasure to shred in. i respect this because i know where this print comes from so this will be a treasure to shred in. @Nonhyped Where’s that, the garden? No seriously, where does the print come from? @Thugz Cry Too It’s actually a classic cover what the print is based on, I don’t wanna spoil it but I’ll be nice though with a hint. It’s from the 80s. @Nonhyped sick.. i know exactly what you’re referring to! PC&L! 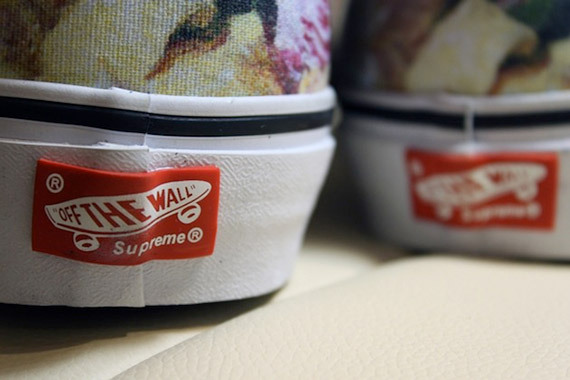 @Nonhyped Also, isn’t it kind of ironic you are commenting about copping a pair of these Floral Supreme Vans with a name like that? Isn’t Supreme Japanese for “Hyped”? 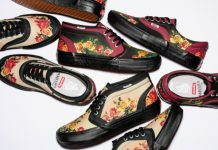 @Nonhyped Also, isn’t it kind of ironic you are commenting about copping a pair of these Floral Supreme Vans with a name like that? 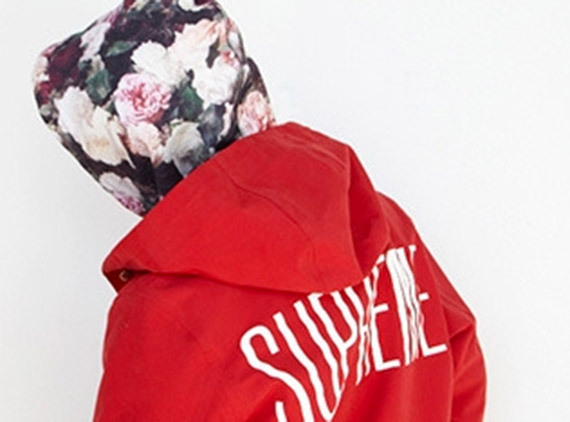 Isn’t the word “Supreme” Japanese for “Hyped”? @Thugz Cry Too You don’t have to be hyped on this stuff especially if you know the brand before this so-called hype, I have moral codes for this kind of stuff. Supreme is based on a American skate brand though. @Nonhyped @Thugz Cry Too I was just kidding, but I don’t really understand your first sentence. And I know about Supreme’s history. Just because something used to be one way doesn’t mean it will continue that way forever. There are countless brands that used to stand for something completely different but lost their way after “blowing up”. Not saying Supreme is that way or not, I’m just commenting on your statement that it is based on a skate brand. Believe me, I hate the whole “calling people hypebeasts because they like something that happens to be popular” BS, it was just too good of a joke to pass up. No hate, bruh. Peace. @Thugz Cry Too I know there is no hate behind it, it’s alright just the basic that’s all. lol.